Let no one have contempt for your youth, but set an example for those who believe, in speech, conduct, love, faith, and purity. Until I arrive, attend to the reading, exhortation, and teaching. Do not neglect the gift you have, which was conferred on you through the prophetic word with the imposition of hands by the presbyterate. Be diligent in these matters, be absorbed in them, so that your progress may be evident to everyone. Attend to yourself and to your teaching; persevere in both tasks, for by doing so you will save both yourself and those who listen to you. R. (2) How great are the works of the Lord! R. How great are the works of the Lord! prudent are all who live by it. Is there forgiveness because of love, or is there love because of forgiveness? It is very clear in this Gospel message, that forgiveness is not earned. 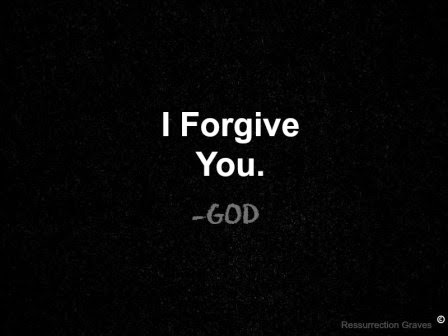 Forgiveness is freely given by God, to those who acknowledge their sinfulness. When the woman entered the house of the Pharisee, it was not to ask for forgiveness, but to show her great love for Jesus, who forgave her her sins. That's why Jesus recounted His parable to Simon and the rest who were present in the gathering, and He said that the one whom more is forgiven, loves more, but the one whom little is forgiven, will only show little love. Sometimes, we accuse people of being sinful, and we would rather not acknowledge or accept our own weakness, our own faults, our own failures, our own sinfulness. But here in today's Gospel, it is very clear that when we have been forgiven of the many sins that we have committed and the things that we have failed to do, then we have to show love all the more. And Jesus is very right - forgiveness is not earned; it is freely given by God. How many times have we shown love to our brothers and sisters? For us who are not able to love more, perhaps we could think. Maybe we have not acknowledged or accepted our own sinfulness. And this is what will give us true joy. There will be joy if there will be great forgiveness of our sins. Amen.